Q:What do I need to pack for an obstacle race? Q: How can I get MuddyJ to review my event or product? A: I would love to run in your event, or review your product, simply send me an e-mail @ jasonpdipane@gmail.com . Q: Do you really run bare foot, like with NO SHOES ON? A: Sometimes, though most times I wear my trusty Vibram Five Fingers. 90% of the time, depending on conditions and available light. Q:How should I train for an obstacle race? A: Only you know what weaknesses you have to shore up, and you need to be honest with yourself. At a minimum, you should be able to run a 5k without stopping, do 15 push-ups and be able to complete 2-3 pull-ups. Flexibility helps, as well as quadrupedal movement conditioning. You can see how I train by looking up any of my WOD posts. Also, many of the big races, such as the Spartan Series and Tough Mudder have training tips that are specific to their courses and obstacles. Running on trails instead of pavement and treadmills is another HUGE helper in prepping for any off road race. Why do you train and run bare foot? There are actually many reasons, but here are a few:While training for the “Alamo 13.1 Fight To The Finish”, I was running twice a day, for 5 miles+ and doing a Long Slow Distance run on the weekends… normal running shoes can’t keep up with that kind of mileage. Second: NMKPD (NO MORE KNEE PAIN DUDE) I read up that barefoot running helped you change your stride to a more natural and sustainable stride, using your foot as a natural shock absorber (this has also been my actual experience! Third: I think VFF’s are really cool looking, I am actually serious… I love the odd looks people give my shoes. 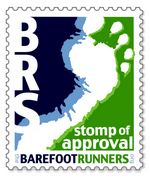 Q:How did you make the switch to barefoot running? A: There are many ways to transition to running barefoot. Most recommend a slow transition where you start small, (less than 1K) and gradually increase your mileage incrementally. Personally I went cold turkey: I bought a pair of Vibram Five Fingers, and started running in them daily, wearing them everywhere, and doing all my cross-training in them. I went from 10-12 MILES per day, to 1-2 miles per day, and built that mileage back up very slowly. A: Slap yourself…..does it sting? yes! ok, Convertible. Q:Did you really just tell me to slap myself? A:Yes, now do it again for asking again! Q:You often mention “Parkour”, how do I get into that? A:If you are fit and have any gymnastics training, then you are ready to start small. YouTube has hundreds of how-to videos by accomplished parkour athletes like Jesse LaFlair and Kyle “Epic” Mendoza. Start small, pay close attention to technique, and above all, be safe and careful..If you are out of shape, or have no gymnastics training, look around for a parkour group in your area and contact them about specific conditioning and training. Q: What’s Your Zombie Plan? A: I am not telling you the particulars, but it involves running, and parkour. If you have questions that aren’t here, simply ask in the “comments” section below.